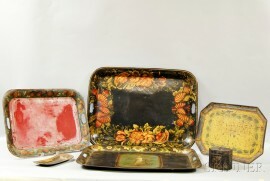 Six Tole Items, five trays including one with reticulated border, and a tea caddy, wd. to 28 in. 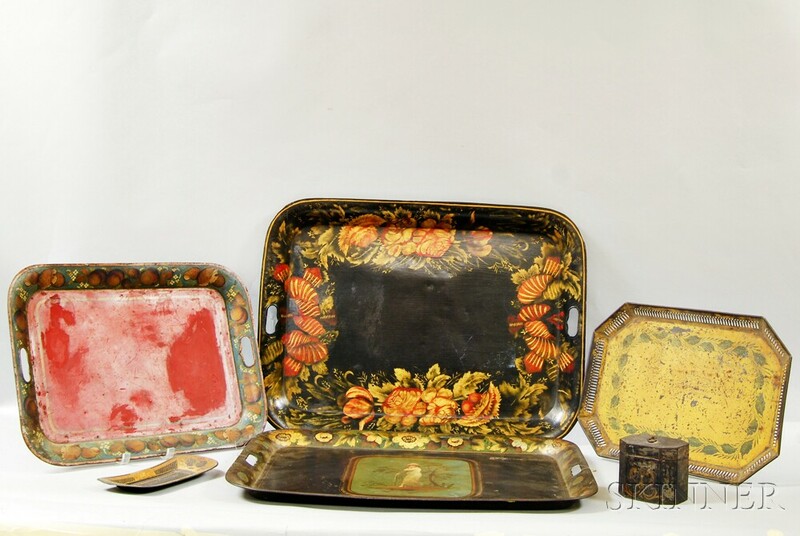 tea caddy has about 25% surface loss, pen tray with very minor flaking, reticulated tray with paint loss to border and flakes and chips to the central design with wear to the underside, red tray with inpainting to the red field, some instances of rust and corrosion to underside, figural tray with some losses to the floral border and black field of the basin with wear to the underside, and the largest looks to be a bit newer with little wear and decoration loss.